Brandon Day submitted this photo and caption. I marched as a member of Memphis Sound Drum and Bugle Corps in 2006 and 2007 on mellophone. 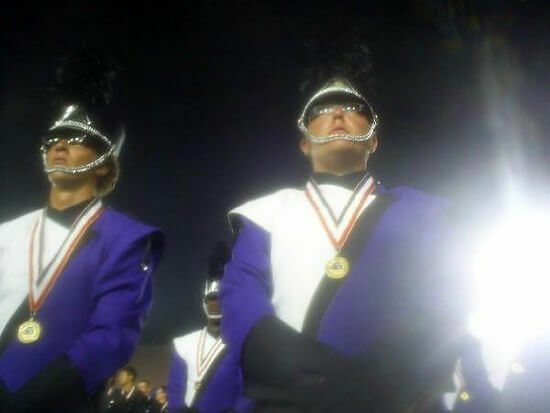 This is a picture taken at the Division I retreat on Finals night in 2007. Since we won Div III, we got to stand on the field at the Rose Bowl when they announced the Div I scores. It was truly an amazing moment, and I loved every minute of that summer. Bleed Purple Forever!